One of the smallest but most successful countries in the world, the German-speaking microstate of Liechtenstein is known primarily for two things: its gorgeous Alpine location and strong economy. Due to its size, Liechtenstein is culturally influenced by its neighboring countries, Austria and Switzerland. It is also quite similar to them geographically, with a mountainous landscape that draws scores of tourists for winter holidays. Outdoor enthusiasts have plenty to enjoy here year-round, with numerous hiking and biking trails. As the second-richest nation in the world with one of the lowest unemployment rates, Lichtenstein's charm nevertheless lies in the pride its citizens take in their country's independence and natural splendor. Liechtenstein is in Europe. 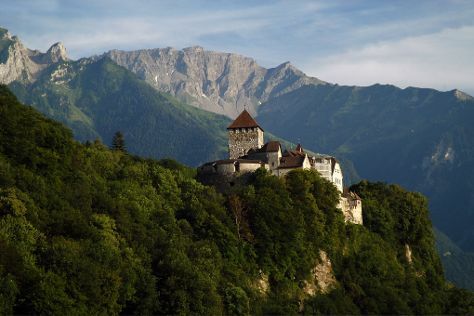 Use our Liechtenstein trip planner to arrange the details of your trip to Liechtenstein and other destinations.